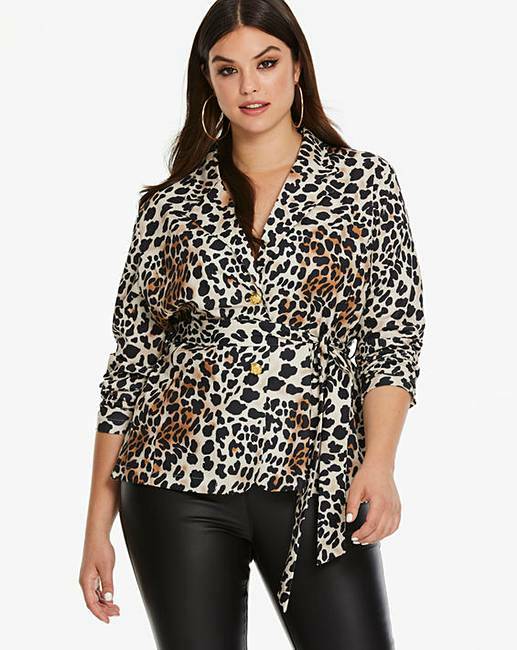 AX Paris Curve Leopard Print Jacket is rated 1.3 out of 5 by 3. 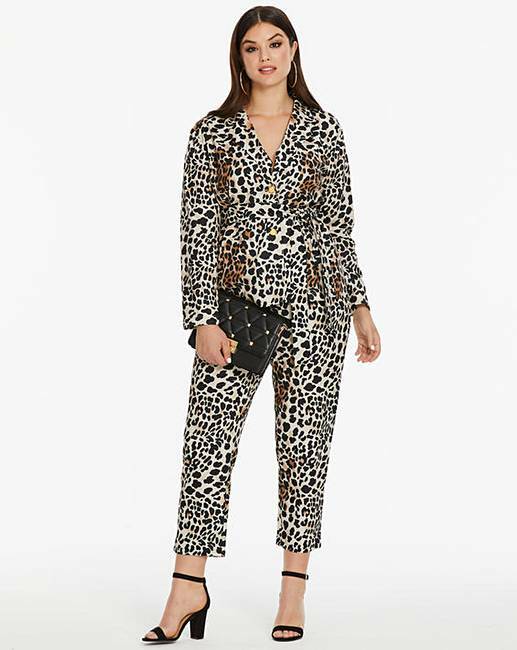 Add this co-ord jacket by AX Paris Curve to your wardrobe for an instant refresh. 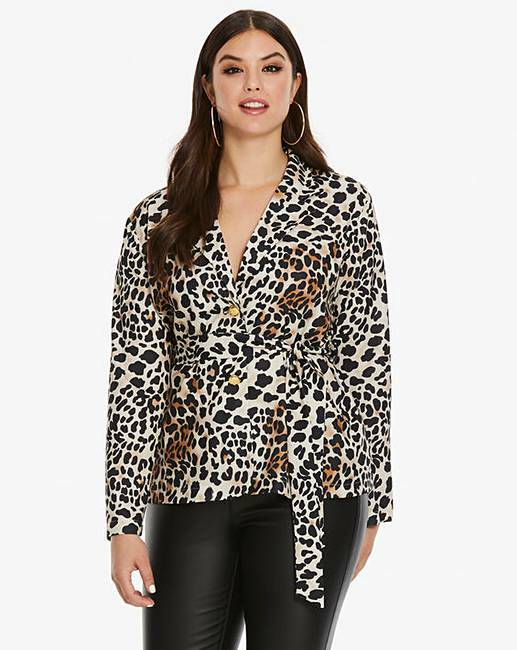 From day to night, this wrap pyjama-style blouse can transform any outfit - with a wrap tie waist and V-neckline, this flattering style is the perfect piece. Team with the matching co-ord trousers GT210. Rated 2 out of 5 by Doco from Horrible Looked nice on the model but in reality the fit is really bad . 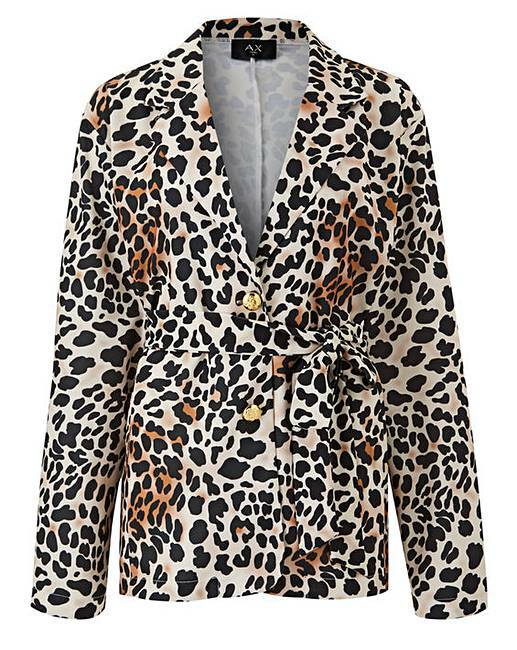 Despite ordering a bigger size than normal it was still too small ...arms tight and too short ..fits at the top but not below the waist and material looks cheap and not nice at all .Not up to the usual simply b standard so will be sending straight back . Rated 1 out of 5 by Mrs G from Disappointed Fabric is horrendous feels cheap sizing is too small doesn't sit right atall returned.